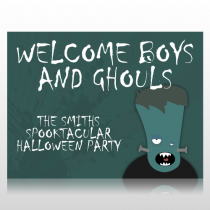 Promote your sales event or occasion with a custom Halloween sign panel. 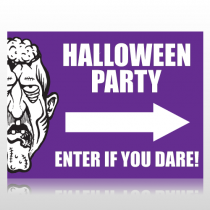 Our Halloween sign panels are extremely versatile and can be mounted several different ways. 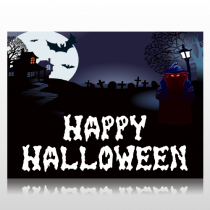 Due to its versatility, our Halloween sign panels are used by many industries to effectively display the message they would like to present. 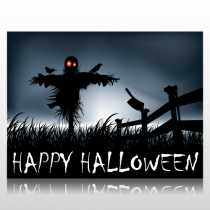 To keep your Halloween sign panel in the best condition it would be wise to add optional defenses against the natural elements. 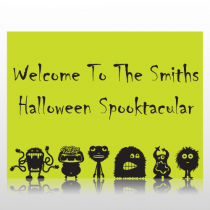 Our UV laminate option will protect your sign by utilising an extra coating to shield the panel from the sun's harmful rays. 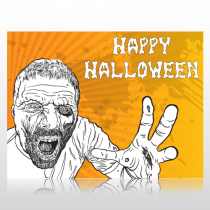 It is a great way to keep your Halloween sign panel looking new for a longer time.